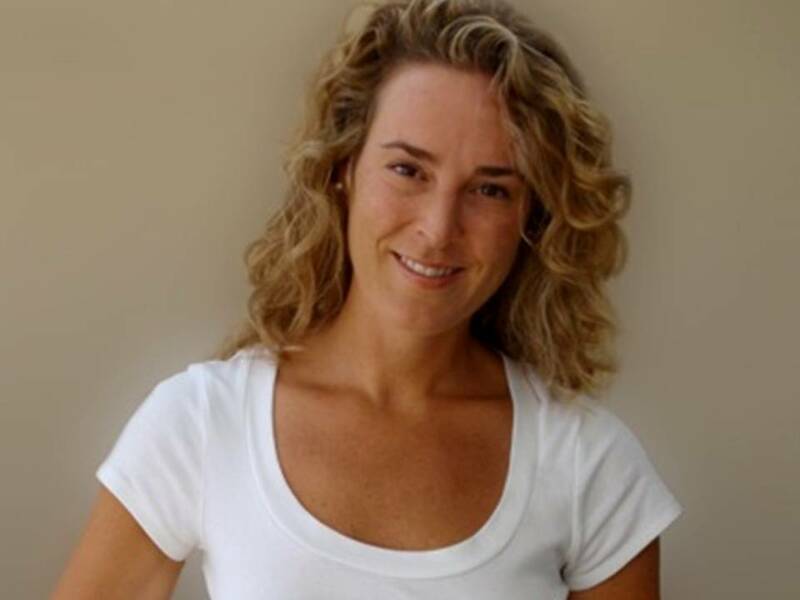 Sarah Taylor a certified plant-based nutritionist from Cornell University, motivational speaker and the author of "Vegetarian to Vegan: Give up Dairy. Give Up Eggs. For Good," spoke to health expert Stacey Chillemi. Taylor discussed why illness and disease is on the rise and how becoming a vegan can help. Stacey Chillemi: What is the difference between a vegetarian diet and a vegan diet? Sarah Taylor: Vegetarians don't eat any flesh products - no meat, poultry or fish - while vegans also avoid anything that comes from an animal - mainly, dairy products and eggs. Vegans do eat vegetables, fruit, grains, beans, nuts and seeds. Stacey Chillemi: Why don't vegans eat dairy or eggs? Sarah Taylor: The three main reasons that vegans avoid all animal products are: health, animal welfare, and the environmental impact. First, your health will improve as soon as you eliminate dairy and egg products from your diet. Many health disorders - including heart disease, cholesterol problems, and diabetes - are radically improved or eliminated on a vegan diet. Many new vegans also report unsurpassed energy and dramatic weight loss that is noticeable in just the first few weeks on the diet. You will feel better and find it easier to lose weight, sleep, and enjoy physical well-being. Due to their high fat and cholesterol content, giving up dairy and eggs are a major factor in achieving these health benefits. Among many sobering statistics, the Physician's Health Study found that there was a 23% increase in the risk of death in people who ate just one egg a day. Second, dairy cows and egg-laying hens are treated terribly in warehouse-like farms called "factory farms" and are exposed to unconscionable living conditions, massive disease and in some cases, physical abuse. These conditions create a multitude of problems for the animals; dairy cows, for example, suffer greatly from a list of conditions that they would never likely face in nature, such as mastitis, milk fever, Bovine Immunodeficiency Virus, Bovine Leukemia Virus, paratuberculosis, Mad Cow Disease, endometritis, and lameness. Egg-laying hens have a similar list of health problems that attest to their pain, suffering, and unhealthy living conditions. Third, more and more studies are showing that the cattle, dairy and egg industries are causing a variety of very serious environmental problems including air temperature (global warming), air quality, water quality and soil quality. According to the United Nations, 18% of the earth's greenhouse gas production is directly or indirectly involved in the production of livestock - more than all transportation combined. Stacey Chillemi: We're taught that dairy products are important to get our calcium and that eggs are the "perfect protein." Why would they be unhealthy? Sarah Taylor: Yes, dairy products have calcium and eggs have protein ... but they are also packed with fat and cholesterol. The plant kingdom has plenty of foods that are also high in calcium (spinach, broccoli, oranges, etc) and protein (nuts, seeds, beans, etc) but have little or no fat, no cholesterol and are also filled with vitamins, minerals, fiber and phytonutrients that dairy and eggs generally don't have. Stacey Chillemi: Aren't fat-free dairy products and egg whites (not the yolks) good for you? With these products, don't you get the calcium/protein without the fat and cholesterol? Sarah Taylor: Yes, these products help you get calcium or protein without the fat and cholesterol. Unfortunately, researchers now know that there are two types of protein that we eat which act very differently in our bodies - animal protein and plant protein. 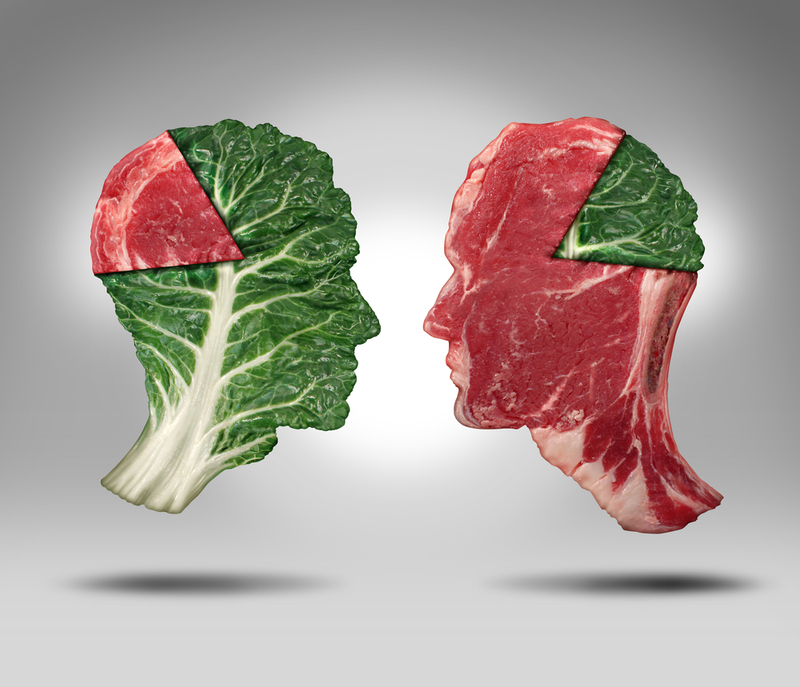 Animal protein has been strongly linked with cancer, while plant protein has not. Even a diet of 20% animal protein has been linked directly to liver cancer and other cancers, while the same studies with plant protein show no correlation. So, even though you can avoid the fat and cholesterol by choosing fat-free dairy products or yolk-free eggs, you still are putting yourself at an increased risk of cancer. Stacey Chillemi: If cows and chickens aren't slaughtered to provide us with dairy and egg products, what's wrong with eating them? Sarah Taylor: The horrific living conditions in factory farms and the resulting physical and emotional diseases their animals suffer from shock many people into giving up meat, dairy and eggs immediately - which explains why the meat and dairy industries have actually tried to pass laws making it illegal to take photos in their facilities. For example, laying hens - the chickens which provide us with eggs - are stacked in cages that give each hen about as much room as a sheet of paper to move around her entire life. Feces and urine fall from the cages above them, as the floors are made of wire. Sharing a cage with 8-10 other birds, the hens often go crazy and peck each other violently, and even cannibalize each other at a rate of 7-15%. Not only is this emotionally destructive to the hens, but they suffer from many diseases related directly to these unsanitary and unsafe conditions. When people learn these truths and see the damning photos, they often need no further motivation to give up dairy and egg products. Stacey Chillemi: Aren't "Cage-Free Eggs" or "Cruelty-Free" Egg and Dairy products a way to make sure I'm not buying food that causes animals harm? Sarah Taylor: No. There are very few regulations around using the marketing claims "Cage Free," "Free-Range," and "Cruelty-Free." In most cases, for example, "cage-free" hens live in massive warehouses just like the caged birds, except the cages are absent. The birds are packed together on the floor and on platforms and still suffer from extreme crowding, disease, and other maladies. Cannibalism - a sign of distressed birds - is actually higher in cage-free birds than in caged birds. Hens in nature never commit cannibalism. "Free Range" often only means that the hens have had "some access" to the outdoors. Moving the hens from the hatchery into the factory farms counts as "some access" to the outdoors, and after they are moved, many "free range" hens never see the sunlight again their entire lives. Stacey Chillemi: What do dairy and egg products have to do with our environment? Sarah Taylor: The negative effects that the dairy and egg industries have on our environment are many. Some of the larger concerns have to do with water quality and air quality. For example, dairy farms regularly have massive manure pits that overflow or leak, causing feces to seep into local ground water, increasing the communities' rates of diarrhea and other gastrointestinal disorders. Air quality around dairy and egg farms is so bad that asthma rates skyrocket as high as 60% in those neighborhoods where the farms operate, compared to 15% in the general population. Furthermore, many people are unable to sell their homes due to the stench in the air. These are just a few examples among many that affect our environment in serious and alarming ways. Stacey Chillemi: Is going vegan hard to do? Sarah Taylor: Like trying anything new, going vegan requires some effort up front. But most people find that after a month or two of shopping for new foods and brands, trying new recipes and figuring out what to order at their favorite restaurants, it becomes secondhand. Fortunately, the past 6-8 years has seen a boom in vegan food products, and there are products like vegan yogurt, sour cream, mayonnaise, ice cream, and - YES! even cheese! - that you truly can't tell are not from real animal products. Truly. Stacey Chillemi: How do you eat at restaurants as a vegan? Sarah Taylor: More and more restaurants offer menus with vegan or vegetarian options that can easily be made vegan. Nowadays, chefs and waiters understand what the vegan diet is, and if there is nothing on the menu, they can make something easily. Ethnic restaurants - especially Asian restaurants - often have entire sections in their menu that are vegetarian or naturally vegan, as religious or cultural customs in many countries don't include meat or dairy products. Sarah Taylor became a vegan in 2002 after reading Diet for a New America by John Robbins. At the time, the vegan diet was relatively unknown, so in 2006, Sarah started "The Vegan Next Door," (www.TheVeganNextDoor.com). In 2008, Sarah's first vegan book, Vegan in 30 Days, was released and has since sold thousands of copies in multiple languages. In 2010, Sarah completed her Certificate in Plant-Based Nutrition from Cornell University. She worked as a Motivational Speaker for Joel Fuhrman, MD, author of Eat to Live, and is on faculty at the Nutritional Education Institute. Sarah has been interviewed for countless TV, radio, and internet shows, including NPR, PBS and EarthSave Radio, and others. She is one of the experts on www.VegSource.com, runs her own blog at www.blogspot.thevegannextdoor.com and has a column in VegNews magazine. For more information on "Healing the Body Naturally" visit the complete herbal guide website.